Dr. William Skiles has been a professor of History & General Education for over two years at Regent University. Renée sat down with him to learn how he switched careers to pursue his love of history and the differences between the geography of L.A. and Virginia Beach. Read on to discover the small German city you’ll want to visit and how monastic tradition should inform Christian practices. Dr. Skiles began by explaining what he loves about working at Regent and what led him to teach history. Dr. Skiles: I really love it here in Virginia Beach. It’s a really small, tight community; everyone seems to know everyone. [I love] the colleagues that I work with in the Government, History, Criminal Justice, and GENE Department – it’s been wonderful to be here and find this family. Coming from Los Angeles, Southern California, and San Diego, it’s a long way. When we moved out here, we had no idea what the environment would be like, but it’s been wonderful. Renée: What was it like moving from California to the East Coast? Dr. Skiles: I love Southern California. I was raised in L.A. and worked in L.A. – I went to UCLA and Fuller Theological Seminary and worked in local governments for L.A. county for four years or so. I worked with youth intercity programs, employment readiness, things like that. I love it out there; the weather – you can’t beat the weather. [There is] so much to do and it’s a really beautiful area. It’s a different culture, than out here, takes a little getting used to. I’m still getting used to the weather and the humidity in the summers, but I do love how green it is here, lots of trees. I do miss the mountains and the weather, but we have a beach out here, which is nice. How did you go from seminary and intercity programs to World War history? Dr. Skiles: I got the job in L.A. county, [when] I was probably 25 or so, and I thought, “Ah, it’s a career job, government benefits, the whole government package, and I’m working with kids, intercity kids.” [Also,] I met my wife who went to Fuller Seminary, but she was working with intercity mission in L.A. It would have been very easy to stay there and stay in the job – and I enjoyed it I really did – but I always kept going back to the history books. Every lunch break, after work, I’d be reading historical theology or history of Nazi Germany or German novels, and I really felt like God was calling me to use whatever gifts I had to teach. My wife said, “Go for it, you are good at it and you love it. You’ll really enjoy it.” She was very encouraging for us to begin this process to find a Ph.D. program. I went to UC San Diego, which is very close by, and did my Ph.D. work there in German History. Then I did Protestant churches in Nazi Germany for my dissertation and that brought me out here to Regent. The interview process is very in-depth, and in speaking with the faculty, the deans , and the EVPs everything just kind of clicked. I felt very welcomed right I away, very in-tune with the different faculty, when they brought me out here, and we loved it. The interview day… it all just clicked and it’s been wonderful, just wonderful. You mentioned you have three kids. What’s your favorite thing to do with your kids? Dr. Skiles: We play a lot of hide and seek – which they super enjoy, because I’m pretty good, and I’ll holler out to let them know they are close but that they still have some work to do to find me. They get the biggest kick out of it. We also do a lot of bike rides and scooter rides around the neighborhood, and I get a nice walk. The kids enjoy getting ahead of me and go, “Why are you going so slow?” because I walk and they’re on their bikes… and we play soccer too, all those things. Renée: Have you ever taken them to play hide and seek in Rob Hall? Dr. Skiles: No, but that would be pretty cool, they would love that! What’s a piece of art – music, visual art, or literature – that has stuck with you? Dr. Skiles: I immerse myself in books and art, so it’s hard to choose one. Well, you know, I’ve read this book so many times now over the last twenty years, probably four or five times. It’s not a novel or a work of art, it’s Eichmann in Jerusalem by Hannah Arendt. It’s part history, part journalism, part philosophy, or even I would think theology; it’s [about] understanding why people do terrible things. Eichmann was a Nazi official. [Arendt argues many officials] were just ordinary bureaucrats. [Eichmann] didn’t particularly hate Jews, he just wanted to move ahead in his career and he participated in the Holocaust. She argues sometimes evil can just be the pen pushers, they’re just signing the forms and working out the details. I’ve gone back to this book so many times because I believe it’s about why we do what we do and the evil in this world – it’s mindless. We don’t think about what we’re doing – we aren’t consciousness about how we treat others, we’re just going throughout our day. Lastly, what is a piece of advice or wisdom you would like to leave with the Regent community? 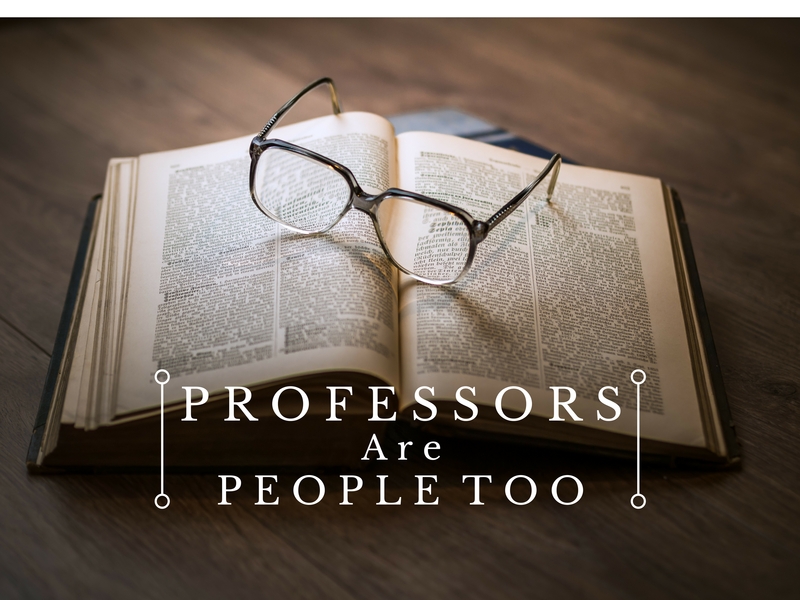 Dr. Skiles: I guess the most important piece of advice I have is that perseverance makes a world of difference, even when things are hard – whether it’s classes, a job, or grading papers. There’s always going to be struggles; there’s always going to be road blocks and sometimes students may think about not finishing or not putting in 100%, but perseverance can make up for a lot. So keep it up, keep your nose to the grindstone. It will pay off in the end. Perseverance leads to discipline, which leads to an appreciation for rewards that take time – patience leads to a whole lot of good things, even when the road seems like a really long way.